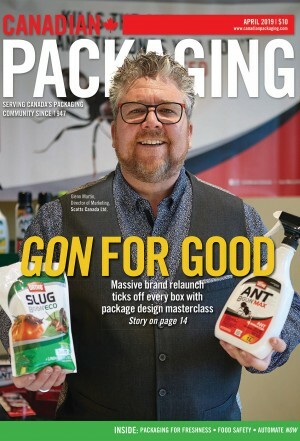 With all the recent news headlines about trade negotiations and tensions, and the burgeoning ‘Buy Canadian’ movement on social media, I was surprised with the ubiquity of international products retailing in Canadian market, with most consumers hardly even giving the product’s country of origin a second thought. Maybe it’s time to remedy that blissful ignorance, at least just a tad. I love bright colors and big bold designs, which is why I’m a big fan of Helsinki, Finland-based Marimekko design house. With its only concept store in Canada located in Vancouver, I was excited to find something locally here in Toronto while ending a visit to the Textile Museum of Canada with a stop in the gift-shop. 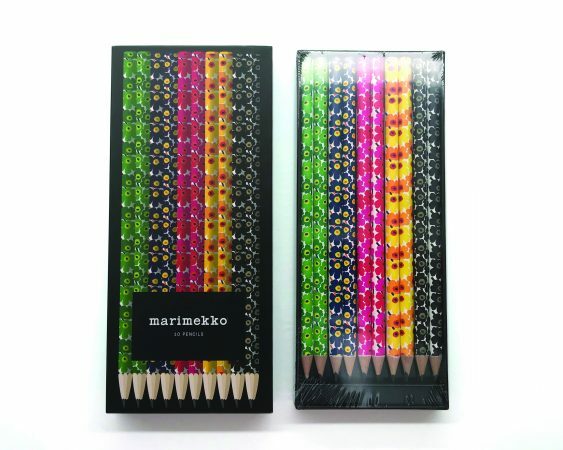 I spotted a gift-pack of 10 pencils bearing Marimekko’s most iconic Unikko classic poppy-prints pattern in five colorways. 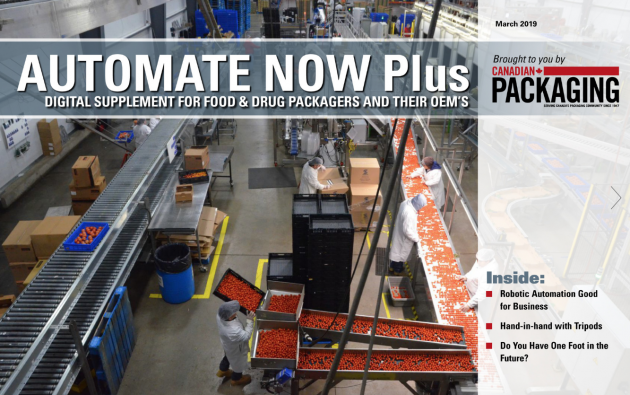 At $19.95 per pack—a huge leap offer what 10 standard Standard HB/No. 2 pencils—it was going to take something very special to justify what would essentially be an impulsive luxury purchase. Luckily for the gift-pack’s distributor, San Francisco, Ca.-based Chronicle Books, the pencil set’s irresistible packaging presentation was, well, simply irresistible. The pencils are beautifully presented in a cellophane wrapped black cardboard tray that slides into a solid, perfectly-fitted paperboard sleeve, that bearing a real-life, actual-size image of the beautiful pencils inside. At the retail store, the consumer can slide off the sleeve to reveal the pencils inside, which is both exciting and reaffirming at the same time. An understated simple black rectangle with the Marimekko logo in the monospace typewriter font, and the ‘10 pencils’ product message executed in small sans serif caps is all it takes to convey the gist of the contents, which should make a lovely token present for practically any occasion, at any time of the year. Like many busy professional women on the go, I buy a lot of my day-to-day beauty essentials online. I simply enter the search term for my favorite brand or product, and after just a few simple clicks, my purchase arrives at my home in two days. 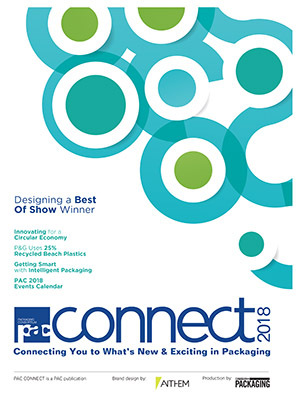 That’s all well and good for familiar products, but when I was in search of a new sunscreen for summer, that’s when the brand competition for my shopping dollars became fierce. A search on the site for sunscreen yielded 175 results, sorted by relevancy and paginated to 60 results per page of small thumbnail images of the myriad of products available for sale. How is a girl to choose? 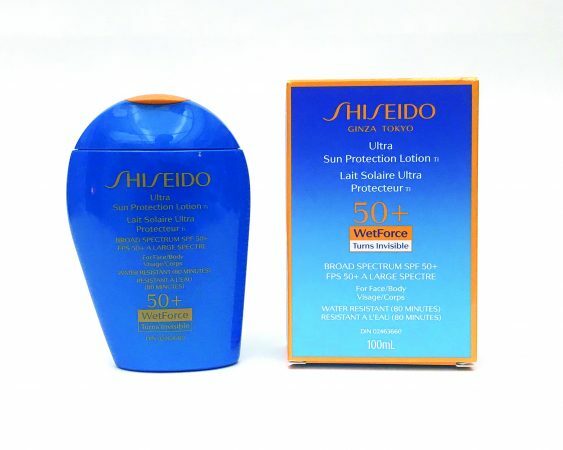 For me, the winner was Shiseido Ultra Sun Protection Lotion, made in the U.S. by New York City-based Shiseido Americas Corporation and distributed in these parts by Shiseido (Canada) Inc. of Markham, Ont. 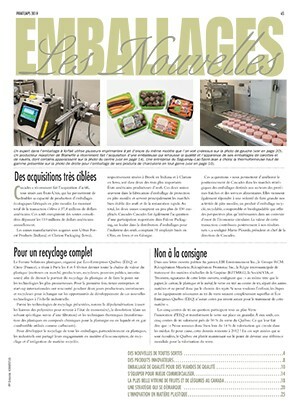 In this grid of images that I quickly scroll through, half of the products are packaged in white containers, and many of the packages are some variation of a cylindrical shape. The Shiseido pack stood out from this online sea of conformity thanks to its royal-blue color with clementine-yellow accents, with its asymmetrical shape combines a curve and slant completing an engaging, eye-catching looks and brand message. and recognizable. 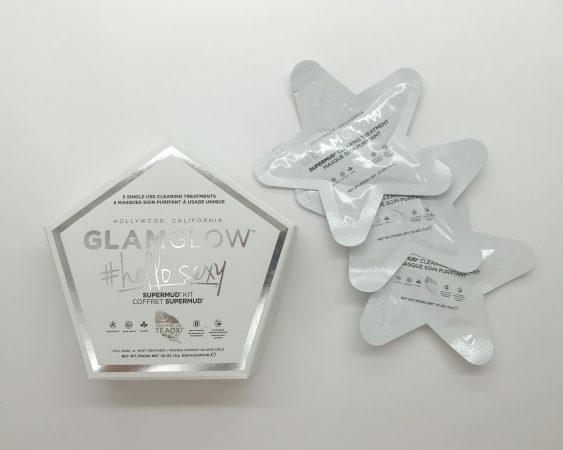 I love when a brand’s vibe is captured and conveyed through its packaging, which is perfectly executed by the GlamGlow Supermud Kit form Hollywood, Ca.-based Glamglow LLC Dist. Forget ordinary run-of-the-mill tubs and tubes: this activated charcoal mask beauty treatment is packaged in a pentagon shaped, white paperboard box made glamorous with stylish black print and a silver foil stamp. 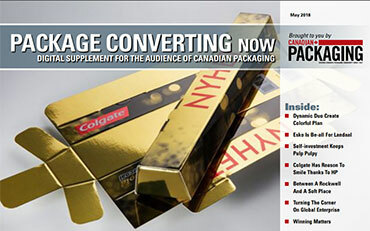 The design aesthetic continues inside with five star-shaped, single-use white sachets bearing the same black print and the foil stamp, containing three grams of the mask. As one would expect, this luxury item has a luxury price to match, but how could one expect anything less from Hollywood, really? Canada is blessed with an abundance of fresh water, and our municipalities work hard to deliver fresh and safe drinking water straight from the tap. When I’m on the go and need to stay hydrated, I will choose bottled water for the convenience of its easy to recycle container and the great-tasting, refreshing water inside. So when choosing to buy water, isn’t it nice to have the added bonus of fun packaging? With Marvel Comics becoming wildly popular over the last decade by rebooting long-loved characters in cinematic epics that earn billions of dollars in world-wide ticket sales, the licensing of its stalwart superheroes has become a huge billion-dollar global industry in its own right. And then there is the licensing. Bottled at the source in the French Alps and imported across the pond by Danone Waters of America, Inc. of White Plains, N.Y., the Evian brand’s 310-ml water container pictured here is an instant standout. 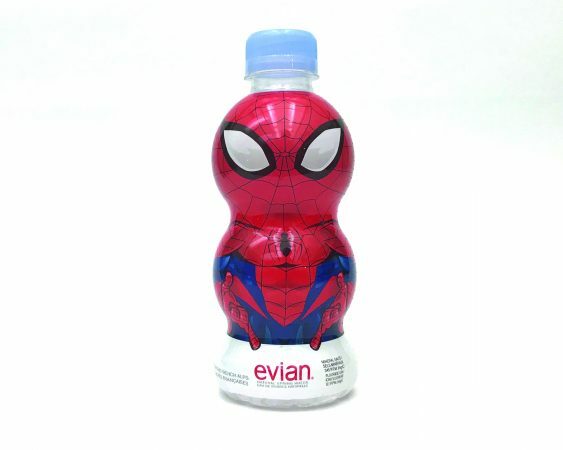 Decked out in a full-bodied trade-marked Spider-Man shrinksleeve oozing with good-guy action hero vibe, projected by the iconic bright red-and-royal cob-web-detailed costume and hands positioned in a classic web-slinging pose, the muscular shape of the bottle gives Spidey an almost child-like appearance, with two stacked round shapes atop a pedestal making it easy for even small to grip the bottle one-handed around Spider-Man’s neck. It’s funny how certain categories of products still have so much ingrained gender bias prevalent in their packaging design. Manufacturers of technology peripherals and equipment all seem to follow the same guideline of a dark box with blue accent colors and a hum-drum, sans-serif Arialesque font—conjuring up the image of an invariably male ‘IT guy’ pencil-necked geek. So when the time came to upgrade my home to a mesh network, I was pleasantly surprised to see one company seemingly inviting me to discover their product through its engaging packaging. 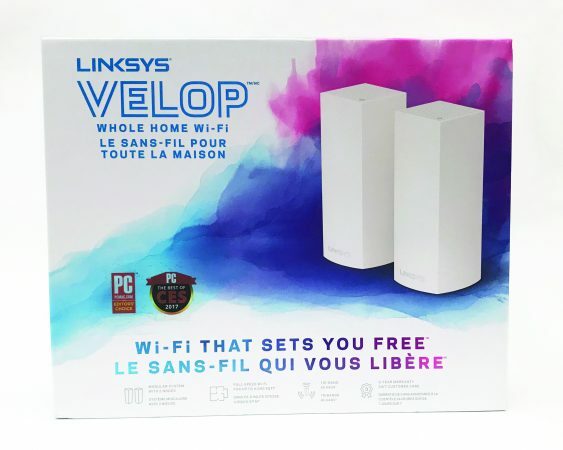 The Linksys Velop Whole Home Wi-Fi kit, designed by California-based Linksys but actually made (no surprise) in China, breaks with convention by showcasing the product on store-shelves in a white box measuring with an image of a vibrant cyan-blue gust of vapor colliding with an opposing magenta gust—providing a vivid background for the image of the two white sleek towers that faithfully depicts the packaged routers required to create the initial mesh network. The box itself is particularly outstanding in its own right: peel off the shrinkwrap and the solid, high-strength hinged pepperbox lifts up like a little treasure chest lid to reveal the two routers nestled inside in molded white plastic. Right next to the routers, underneath a colorful trapdoor-styled l foam-core board, rest all the required power cables—also secured in similar molded plastic. As a consumer, I was extra happy to discover that my new network worked as well as the packaging looked on the shelf.